Push a button at the base of the handle and lift to reveal the hidden sword blade within. Forged from tempered 1045 carbon steel, the 22 7/8" double-edged blade comes sharpened and features etched scrollwork on the side. The L-shaped cast metal handle is adorned with sculpture work and features faux leather wrapping. Other features include a black wooden shaft with metal fittings and rubber toe for enhanced grip while walking. I received this today and it is an awesome piece of hardware. 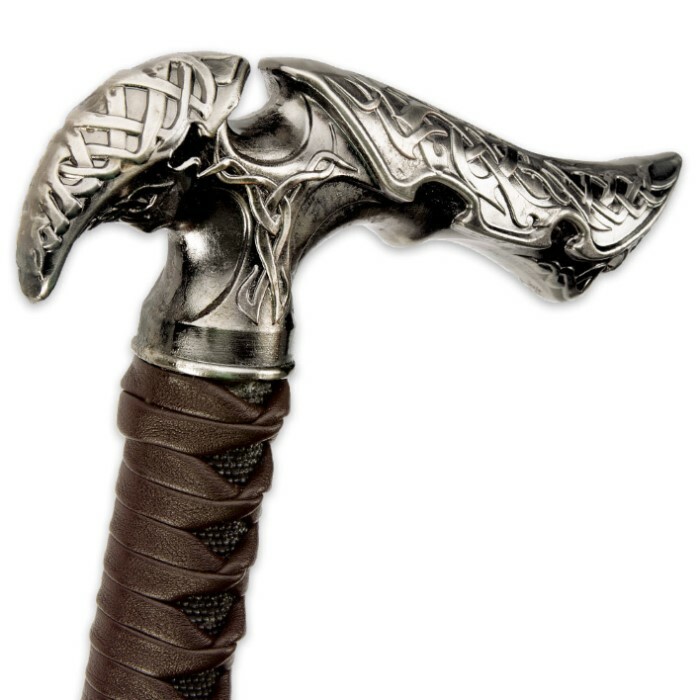 The handle is absolutely perfectly fit to my hand, the button is easy to use and the sword is beautifully weighted. It is the perfect height to lean on. It is beautifully crafted overall.... 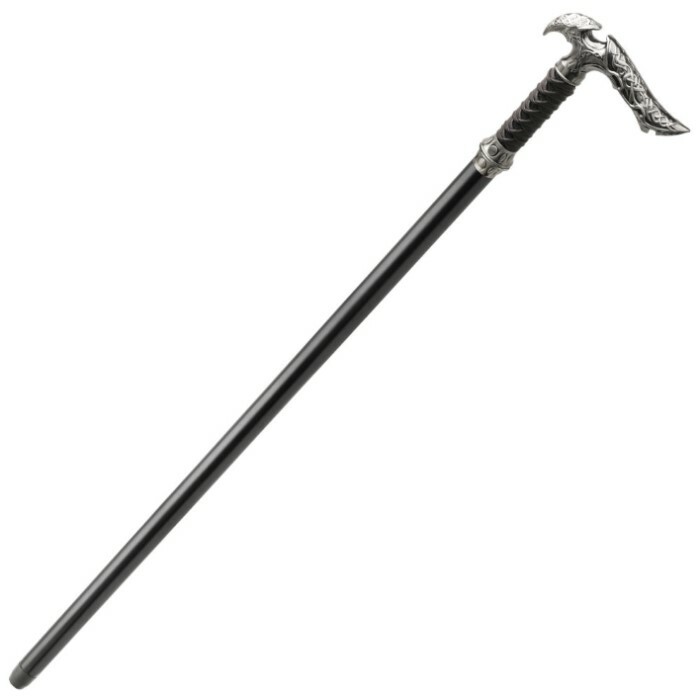 I am planning on buying the other 2 sword canes in this collection as soon as I am able to. I just got it in today, and Ive gotta say I love it. there is a little bit of a rattle to it but nothing that major. Ive read some reviews about it not working as an actual cane. I honestly think that this DOES work as an actual can so long as you dont have too much weight put on it. I think body weight would be a factor, however, Im 160 and have no issues with it. 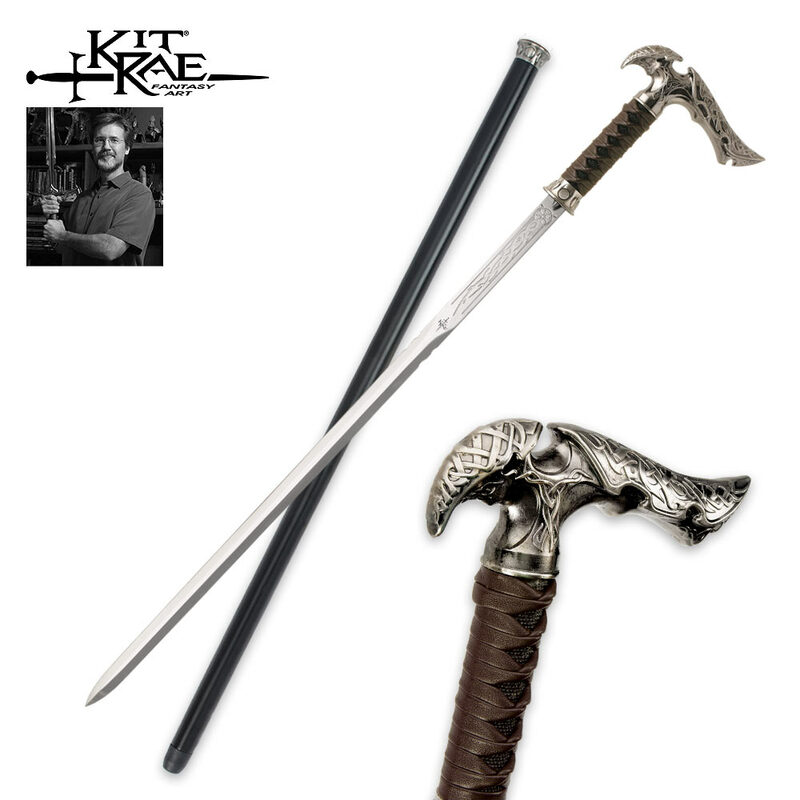 again I love it its a beautiful blade\cane.